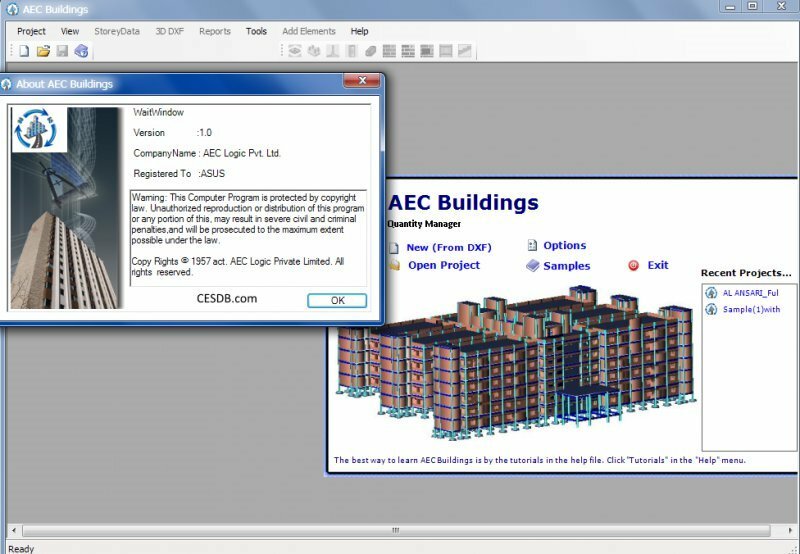 AEC Buildings is a project quantity estimation and 3d drawing tool to quickly prepare your designs, drawings, dimensioning and quantity estimation. Your quantities at lightening speed from simple 2D plans - A break through technology from 2D drawing to 3D model ever built by anyone for construction industry. AEC Buildings is designed to take care of fresh & busy engineers to use difficult AutoCAD drafting in 3D environment faster with ease. Quantity estimation and Bill of quantities preparation are made simple through AEC Buildings. Lists all the drawings objects in to tables for the user to edit levels and further processing quantity calculations and analysis, planning, scheduling and procurement. Works in a simplest and quickest way as an innovative 3D Quantity Manager to understand any kind of AutoCAD drawing plan and capture data, do routine design, draw 3D on AutoCAD and do more for you. Does your major routine drafting job while freeing you to concentrate more on other priority assignments. A Project is a single database of information for a building information model (BIM). This information includes components used to design the model and necessary data to draw your model on AutoCAD drawings. Stop drawing and start modeling with the program. AEC Buildings precisely extrudes sloped roofs as the design requires and gives solid modeling for roof building in a sequence. Project delays from inception to planning and execution stages by way of quick quantity. Estimation to work out budgets and financial viability, project shop drawings during implementation stage. Removes duplicity and miscounts of items from your project and maintains rhythm of L, B, D and cross referencing with accurate estimation of quantities on complicated geometrical shape. Simple to work and link any project database. Designed to integrate with AEC ERP or any other ERP system with XML tagged output files. 3D viewing on the web made free and Autodesk provides Design review and Freewheel tools to open these files. Design review enables project teams to review drawings, designs and so on. Project components layout is made simpler with co-ordinates output files to the surveying machines to determine site coordinates. Output files can be viewed in several formats like PDF, Drawing, DXF, DWF and DXF. Several cost analyzing tools help cost estimation accurate and faster. Reads any kind of AutoCAD input 2D files with simple poly lines and lines. 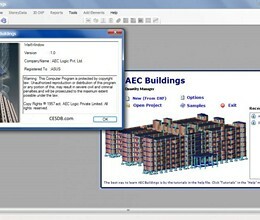 * AEC Buildings download link provides trial version of the software. GSA Building is the ultimate building design software, steel structure design software and steel structure analysis program. AEC Buildings has been rated 3.0 out of 5 points. A total of 1 votes cast and 0 users reviewed the software.